Download, complete, and submit the Agreement. (Windows users right-click and “save file as”, Mac users ctrl-click and “saved linked file”). Upon acceptance of the Affiliate application, you are an Affiliate of the Krav Maga Alliance. If you would like us to schedule a private training session (individual or group) at your location, the cost will be $850 per day plus travel and lodging. For public seminars, we charge $1,750 per day for a top Alliance instructor, including John Whitman. Krav Maga Alliance is composed of Krav Maga schools, instructors, and students dedicated to improving themselves and each other through realistic training and the continuous exchange of ideas. We have affiliates all over the world, from Australia to Italy. We provide training, certification, and ongoing to support in all aspects of Krav Maga training. We provide curricula, lesson plans, and monthly updates with new training drills and scenarios to our affiliates. 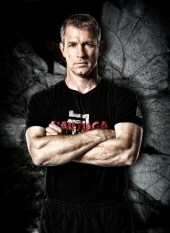 The Krav Maga Alliance was created by John Whitman, a sixth degree black belt in Krav Maga. John is the former president of Krav Maga Worldwide, and earned instructor degrees from the Krav Maga Association of America, Krav Maga Worldwide, and the prestigious Wingate University in Israel. He is the only person to have earned a Senior Instructor diploma from Wingate. He has trained thousands of civilians and hundreds of law enforcement and military personnel, including the Air Force’s Office of Special Investigations Antiterrorist Specialty Team. John is the co-author of COMPLETE KRAV MAGA and KRAV MAGA FOR BEGINNERS. He was a leading participant in the creation and refinement of the Instructor Training Program used by Krav Maga Worldwide, a program he headed for 7 years. We want to stay out of them. Period. We want to be inclusive rather than exclusive. We encourage our affiliates to join other organizations, Krav Maga and otherwise. Learn as much as you can. Discard what you think is ineffective. Stay with us as long as we are beneficial, and move on to something else if it suits you. The Krav Maga Alliance includes an elite team of highly talented instructors across the United States and around the world, who have accepted the responsibility to help train future instructors. These Training Team members have proven themselves to be exceptional in their techniques, teaching abilities, and dedication to the Krav Maga system. The motto of the Training Team is “Lead By Example.” Each member of our training team has proven his or her worth by setting an example for other instructors, school owners, and students.